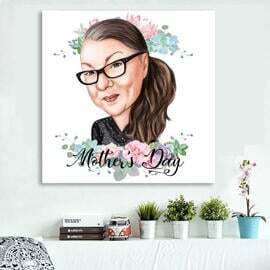 Order a custom portrait drawing in colored digital style from photo of your mother as printed drawing on canvas of any selected size. 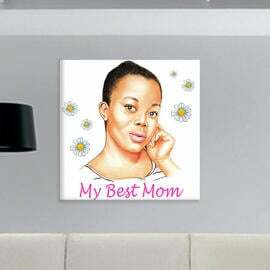 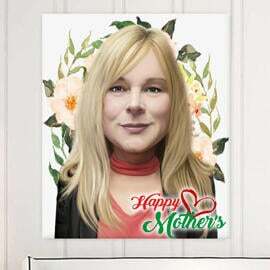 Portrait will be drawn with addition of decorative texts and cliparts in Mother's Day Theme. 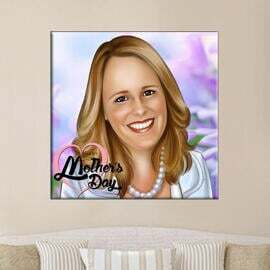 Upon request we can draw a portrait of woman featuring any other additional details and background of your choice. 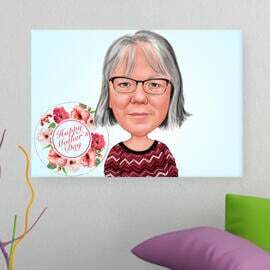 Print on canvas is available for your drawing, created in any style. 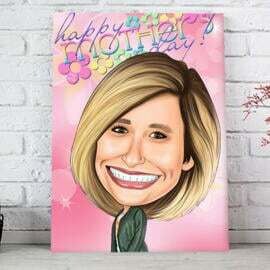 Your ready-made canvas with imprinted drawing on it, will be delivered within 20 days. Before we will send your canvas, please check your drawing, which will be delivered on your Email for approval. 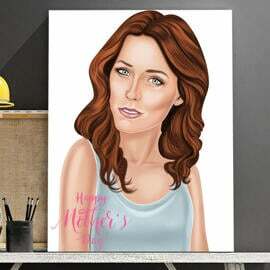 Drawing delivered per Email will be delivered as JPEG file of high resolution, which can be used at your choice. 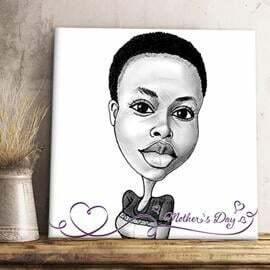 Select any size below for printing of your drawing.